We’re all obsessed with protein in the western world, but how likely is it that you are actually suffering from a protein deficiency? Today I’m sharing 5 signs that you could be suffering from a protein deficiency. 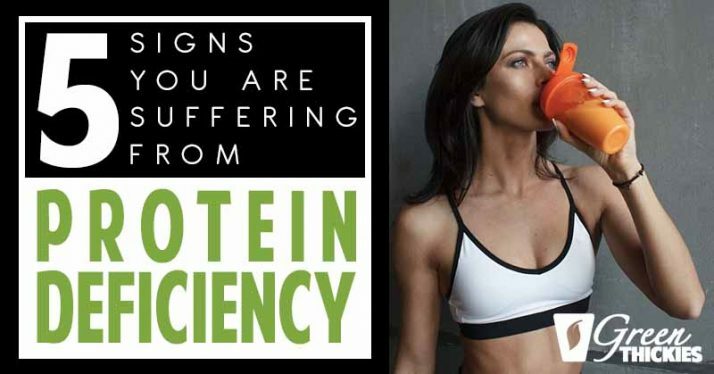 But bear in mind, these signs could point to other health problems and might not necessarily mean you are suffering from a protein deficiency. The best way to know for sure if you are protein deficient is to use a food tracking app such as cronometer.com where you can input your food intake. Cronometer will tell you how much protein you are eating daily. That is the best way to put your mind at rest. So what types of people could potentially be suffering from a protein deficiency? Vegans are targeted when it comes to protein as meat eaters assume that vegans are going to be lacking in protein. Actually, it’s not true at all. Vegans are no more likely to be suffering from a protein deficiency than the general population because all plant food contains some form of protein. 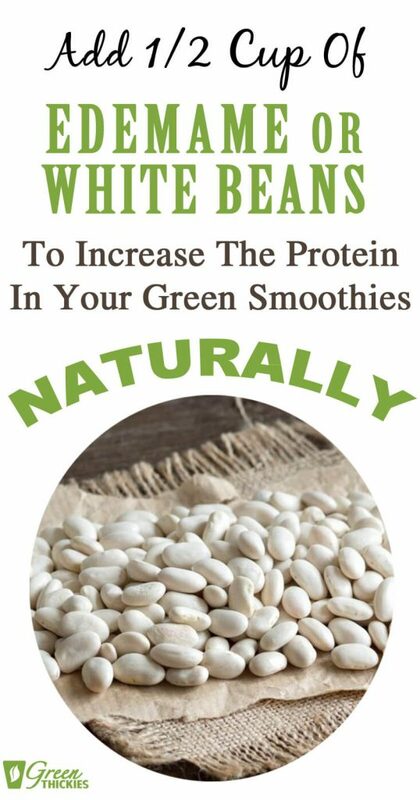 If you are eating whole foods, it’s almost impossible to be suffering from a protein deficiency. 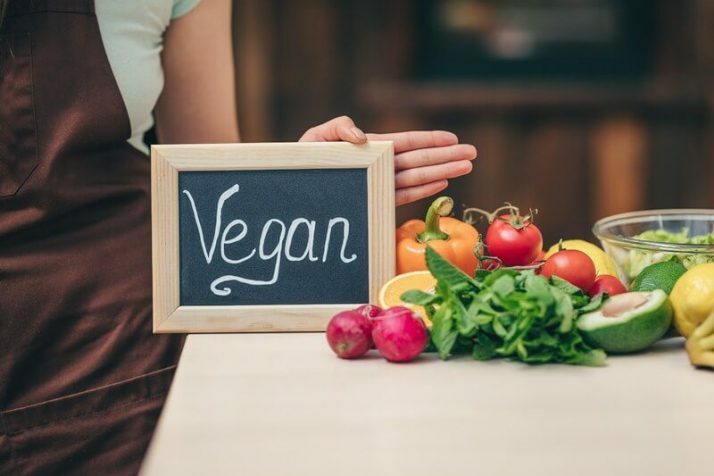 Vegans usually consume a lot of beans or lentils which are very high in protein, so this is not usually an issue for vegans. If you’d like a complete list of the 19 Best Plant Based Protein Sources from Whole Foods, click here. I have friends who would often ask me how I prevent protein deficiencies on my vegan diet, given my avoidance of all animal-derived products, which are primary sources of this nutrient. 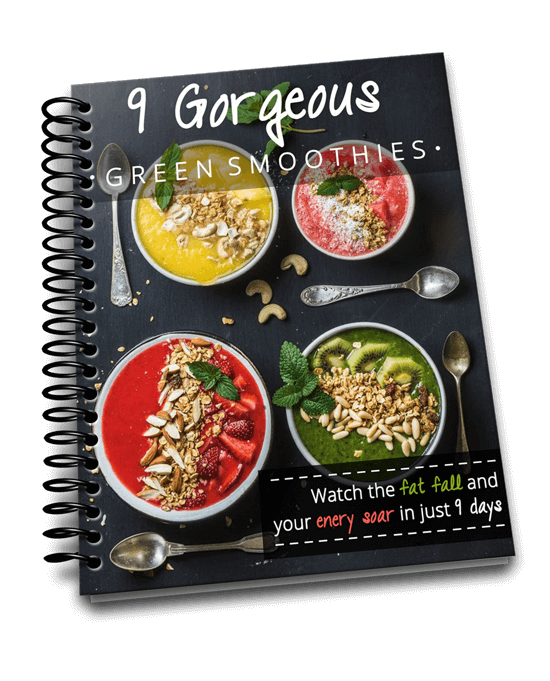 Since I have formulated my own diet based on meal replacement green smoothies, I advise them to just load up on protein through plant-based sources instead such as nuts, seeds or legumes. That fills the gap vegans might be missing from limiting meat intake. Watch how to make my High Protein Shake Recipe Without Protein Powder. Read more about how much protein should I eat each day here. Or are there other types of people more at risk of a protein deficiency than vegans? What about those who are on a diet and restricting their food intake? You’re probably making the right decision to follow a calorie-restrictive diet if you have excess weight to lose, but could this specific diet lead you to suffer from a protein deficiency? 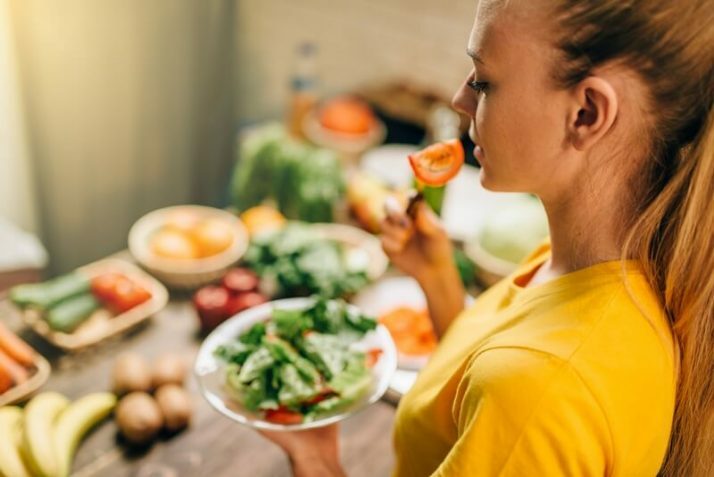 In our haste to get back in shape and start a healthy lifestyle, we often tend to forget how dieting not only limits the amount of food itself, but also the essential body nutrients we should be benefiting from. This is especially true for people who instantly dive into faddy diets without any idea of how these eating patterns can affect the absorption of important nutrients. You might be counting away your calories with complete disregard to protein for fear that it will only add up to your weight, and this is totally misleading. Perhaps it is because of how bodybuilders and athletes aggressively promote protein supplements for bulking up and gaining muscle strength. Apparently, not all people are sold on that idea; they would often view muscle gaining as an over-the-top goal for weight management. Typically people only want to reduce weight, which seems to reflect only when they are able to fit into their old jeans and can move around minus the sluggish feeling. So no, no significant muscle gain is required for these people. But did you know that protein actually makes up a large portion of your essential bodily processes? Without protein—or rather, the deficiency of this nutrient—you will experience erratic changes in your body composition, as well as your overall well being. However, you should be aware that there’s a recommended dietary requirement which you must follow if you don’t want to suffer from the negative effects of limited protein reserves. For someone who follows a 2,000-calorie diet per day, he needs to consume 50 grams of protein daily, according to the FDA. Otherwise, there’s also the standard requirement of 0.36 grams of protein intake for every pound of body weight. Women should generally consume at least 46 grams of protein and men should consume around 56 grams of protein on average. Both guidelines indirectly suggest that if your protein consumption is way below the required amount, you’re likely to suffer from health problems which are typically associated with protein deficit diets. However, a lot of studies have shown that this minimum requirement is far too low and we should actually get a lot more protein than this, especially if you do regular workouts. Studies have shown that those who are on a weight loss diet, should increase their protein intake higher than normal so that they preserve their existing muscles. The less muscle you have, the slower your metabolism, which makes it harder to lose weight and keep it off. That’s one of the reasons why dieters put on all the weight they have lost the minute they increase their calories again. Another reason for preserving or building muscle while you are losing weight is to shape the body and avoid the skinny fat look. 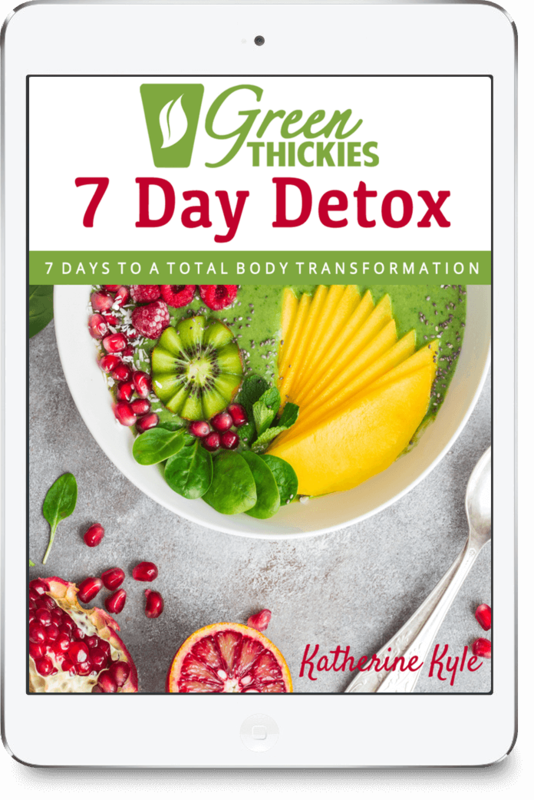 It is difficult to get rid of pockets of fat even when you’ve achieved your ideal weight if you are lacking in muscle definition. One study carried out by McMaster University has shown that those who do regular exercise should be eating around 0.9 grams of protein per pound of body weight, which is about double the government’s recommendations. If you are performing exericse, you are constantly rebuilding your muscles, which means you need to focus on getting more protein in your diet. But if your protein intake is low, and you are doing regular exercise, you might want to consider increasing this. Personally, I went on a raw food diet for 10 months where my protein was at minimum levels, but as soon as I started regular exercise including bodybuilding, I felt very weak. 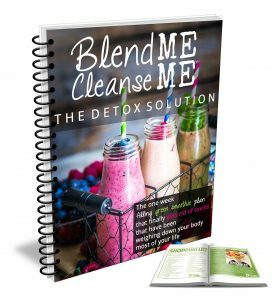 When I went off my raw food diet and incorporated a lot of beans and other legumes into my diet, my energy and strength increased dramatically and I was able to put on 11 pounds of muscle in just 6 months. Today, I’m going to show you five health issues that raise the alarm for insufficient protein absorption in hopes that you will start considering increasing your consumption of this nutrient. There are telltale signs that you should watch out for if you’re worried about being protein deficient. Note that while these symptoms are manageable, this doesn’t mean you should ignore them once they start manifesting in your day-to-day living. Prevention is better than cure, so as much as possible, be warned of the negative effects of protein deficiency in your diet before they lead to a complication. Once you noticed puffiness or swelling of your abdomen, hands, legs or feet, you could possibly be experiencing edema or fluid retention. And this is often linked by scientists to the low levels of protein in the blood called albumin. This type of protein is responsible for maintaining oncotic pressure that refers to the process by which the fluid is drawn from the tissues into the blood. When you are protein deficient, your body cannot produce albumin, which in turn causes the fluids to build up around your tissues. That’s what makes your limbs appear swollen. Now this case can lead to a severe condition called kwashiorkor, which causes you to have a distended belly. Of course, that’s a rare condition for protein-deficit diets, but still that’s enough to warn you of the downsides of limiting your protein intake. Feeling depressed or overly aggressive lately? That could be due to your brain’s fewer neurotransmitters which relay the information between cells. These chemicals are produced by amino acids, which derive from the protein that you eat. When your serotonin and dopamine levels are running low, you’ll experience changes in how your brain works. So you see, it’s a funnel effect when your body loses its sufficient stores of protein. This often leads to mood changes that can range from mild to aggressive. Check your mood lately and see if you’re experiencing these symptoms of protein deficiency. Other visible signs of being protein deficient include hair loss, brittle nails and dry, flaky skin. These symptoms are caused by the lack of sufficient keratin, collagen and elastin which are all protein by-products. If you have noticed your hair thinning out on a particular spot, your nails having deep ridges, or your skin looking scaly and dehydrated, you may be suffering from low levels of protein. A lot of research has been made to conclude that a week of not eating protein-rich foods may lead to your muscles becoming weak, thereby making you tire of your posture and movement. Protein is the food for your muscles, and it is responsible for sustaining your muscle mass and other tissue-related functions necessary to keep you fit and strong. Obviously, the lack of this nutrient may lead to a weakened body, making you lose balance and eventually slows down your metabolism. You should not take this lightly, as your overall wellbeing will depend on your strength and mobility. You can tell if someone is low on protein by simply observing how fast their scrapes and cuts start to heal. Without collagen, which is produced by protein, your skin will have a hard time patching up your injuries. And that’s not just on the surface; even sprains and other gym-related injuries may also take a long time to heal. The collagen that protein produces allows your blood to clot, and also assists in muscle repair and recuperation. Hence, the shortage of protein supply will eventually cause you to suffer from slow-healing injuries that could also limit your mobility. Protein deficiency is something you need to take seriously given its possible side-effects which may only make your body feel much worse than when you’re not dieting. It is important that you should focus not just on limiting calories, but rather in obtaining sufficient amounts of protein even when you’re in a calorie deficit. You can get my weight loss calculator here and learn more about how many calories you need to eat to lose weight. Whether you’re a vegan, dieter or athlete or not, loading up on protein will not prevent you from achieving your goals; in fact, it can aid in sustainable weight management if you track your food for a few weeks. 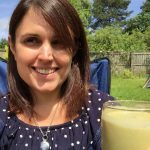 I hope that this article has enlightened you about the symptoms you should take notice of to avoid falling into the trap of protein-deficit dieting. If you’re interested in learning more about my homemade plant based protein shakes, click, the link below. These shakes helped me lose 56 pounds of weight in just a few months, and recently I also gained 11 pounds of muscle while drinking these shakes. The Only Guide To Protein Shakes You’ll Ever Need including 50+ recipes. If you enjoyed this article, 5 Signs You Are Suffering From A Protein Deficiency, please let me know your thoughts in the comments.